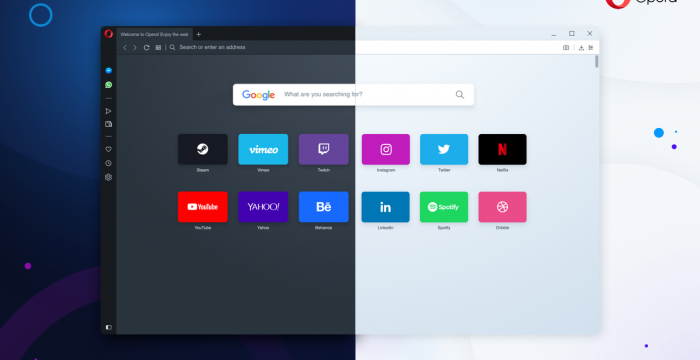 The Norwegian software company, Opera Software, has released a new version of its popular web browser, in an effort to take the entire Internet navigation experience to a new level. Dubbed as Reborn 3, Opera version 60 focuses on user privacy and security. It integrates an explorer for Web 3.0, which is considered the next generation for facilitating true peer-to-peer transactions without a middle man. Subsequently, the browser introduces a crypto wallet for exploring and making transactions in blockchain apps. It was initially compatible with Windows and Android-based browsers only, but it’s now available for all desktop-enabled operating systems. What’s more, transactions can be validated and synced to all devices from your smartphone, thanks to security features like fingerprint scanning and facial recognition. Reborn 3 also receives a major interface overhaul. It adopts a borderless design with light and dark themes, which simplifies web surfing by eliminating all unnecessary graphical elements. At the same time, the web browser preserves the functionalities that made it stand out in the crowd and which continue to receive improvements: integrated ad blocker, snapshot tool, currency converter, a plethora of customization settings, and MyFlow – a virtual space for sharing content between desktops and mobile devices. 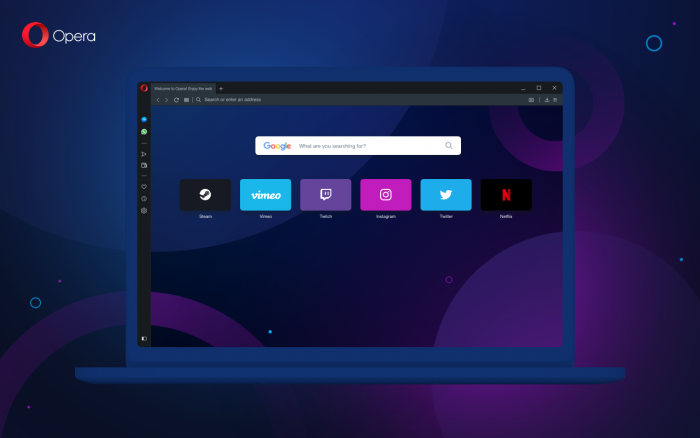 Further, Opera is currently the only web browser with a free and unlimited built-in VPN, which is now faster than before. It was only recently released on Opera Touch for Android 51. According to the company, the VPN tool doesn’t collect logs on user activities. Complete release notes about the latest Reborn 3 are available on this page. You can download Reborn 3 for Windows, macOS and Linux (deb packages, RPM packages, snap package).